planned in 2007. This would make Lithuania, together with Slovenia, probably the very first countries from the recently joined EU member states to introduce the Euro. has just become first in the world in mobile phone usage ! There are now more mobile phones than people, with 1.39 active SIM cards per person. In the 16 years since the reestablishment of Lithuania’s independence the changes that have occurred in Lithuania are nothing short of outstanding, with Lithuania confirming its place as a modern European state. There is an enormous building boom going on, both for private residences and commercial premises. 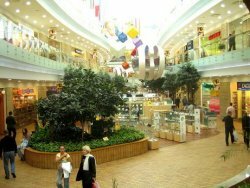 Ultra modern shopping centres abound, with a range of goods bigger than in Australia. 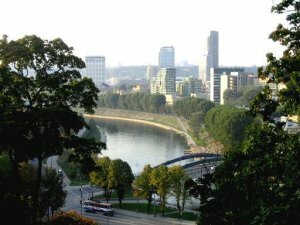 With Modern Vilnius arising on the right bank of the Neris River and with the beautiful baroque Old Town on the left bank, Vilnius is now living up to its tourist potential and is fast taking up its place as a favourite tourist destination. 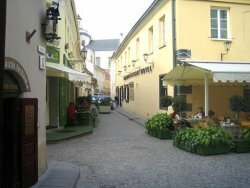 Vilnius has one of the largest Old Towns in all of Europe, which has been world heritage listed since 1994. 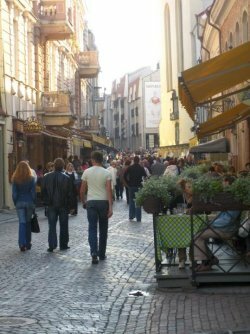 There are now more than 3 million visitors coming to Lithuania annually, a number increasing rapidly, and the streets are full of tourists.